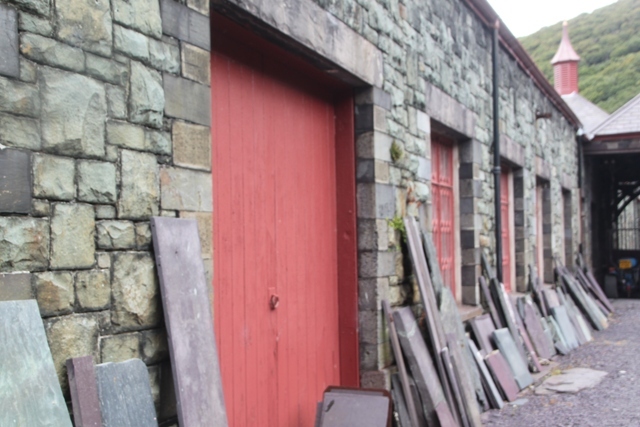 A slate museum – maybe not the most exciting place you might think. 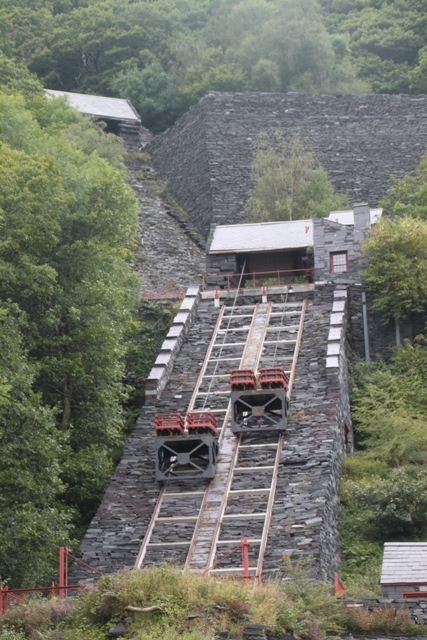 However, having been inside Electric Mountain in Snowdonia and faced with an afternoon of pouring rain, when our guide for the power station pointed out the slate museum on the drive back to the visitor centre we thought about it. When she mentioned free entrance the decision was made. Nothing to lose, shelter from the inclement weather, we figured we might as well check it out. Slate is just everywhere in Llanberis, you can’t get away from it, much was carved from the open mountainside leaving a jagged cliff which, while not exactly beautiful is definitely striking. 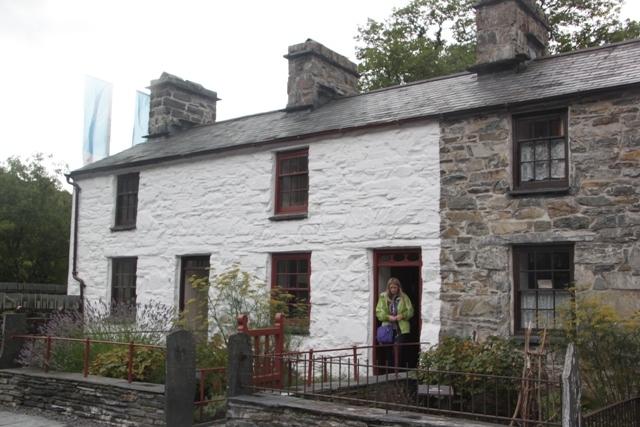 We walked from the visitor centre just the short distance to the slate museum. The lady at the entrance excitedly told us we were just about in time for a slate splitting demonstration. We hurried to the theatre type place and found about a hundred people already seated. We got the standing room only spots round the edge. I thought something amazing was about to happen, anticipation was building. The very nice man split one slate and then proceeded to spend the rest of the time talking about what he had just done. Skillful and impressive no doubt but a bit of an anti-climax. 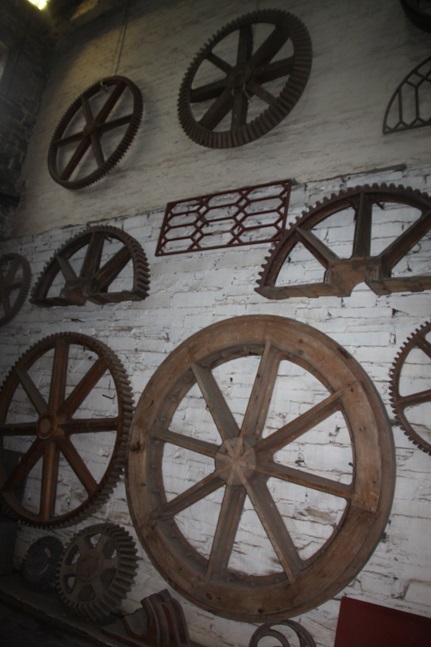 Outside we started exploring – lots of old workrooms with heaps of old equipment. 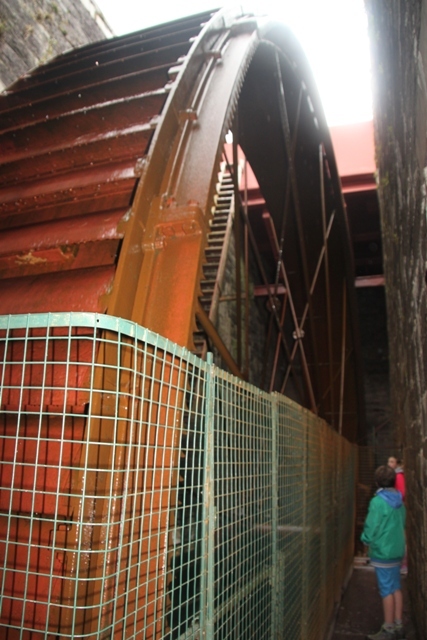 We found the largest waterwheel in Europe and climbed right to the top to watch it turn. My highlight was the row of terraced workers’ cottages. Three little houses, each furnished from a different era. Every one was so different and the bits and pieces so intriguing, most compelling though was how tiny they were and how large families lived here at one time. 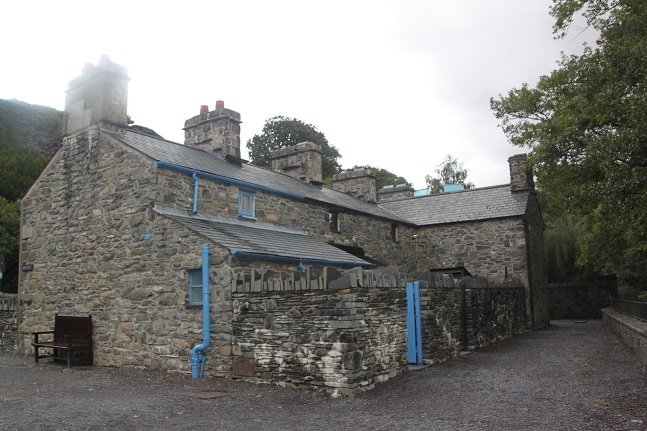 There was a hospital where the slate workers were once treated, it sounded fascinating but was closed that day. A few craft shops and a nice café finished off our visit. 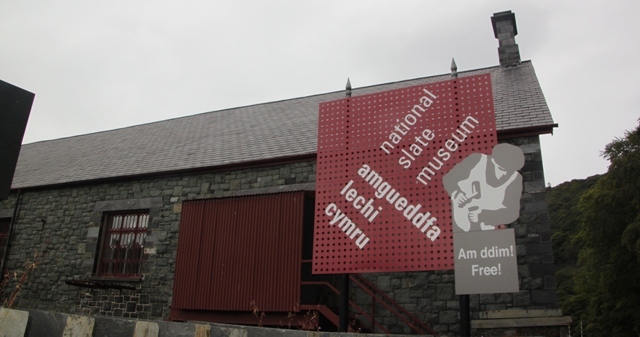 The slate museum exceeded my expectations – it was definitely worth an hour or so on a rainy afternoon in Llanberis. Wow, again a wonderful excursion you are sharing with us, Joy. I think my highlight would have been the cottages too! 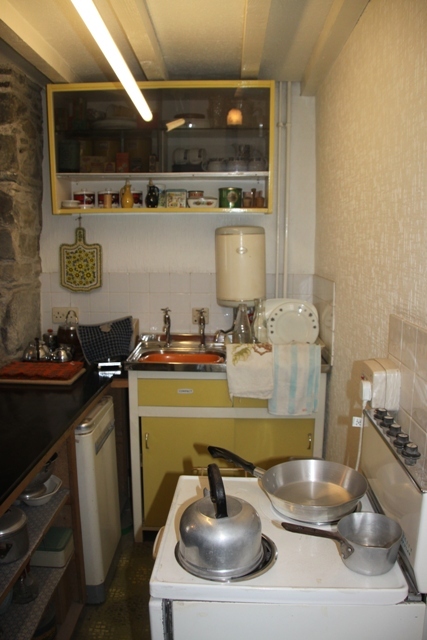 I love looking around old houses, seeing how people live and realising how lucky we are with all our modern conveniences!! Are you home again Erika – hope you’re not too jetlagged! Yes, that is what I also like about old houses! Yes, I am home again 🙂 By now the jetlag is not too bad 🙂 Thank you! Very unexpected! But it looks interesting enough, especially since you got cover from the bad weather! Anything to get out of the pouring rain!! But you’re right, this was interesting and a good little museum to visit. Absolutely – I love doing that, seeing how people once lived just fascinates me! 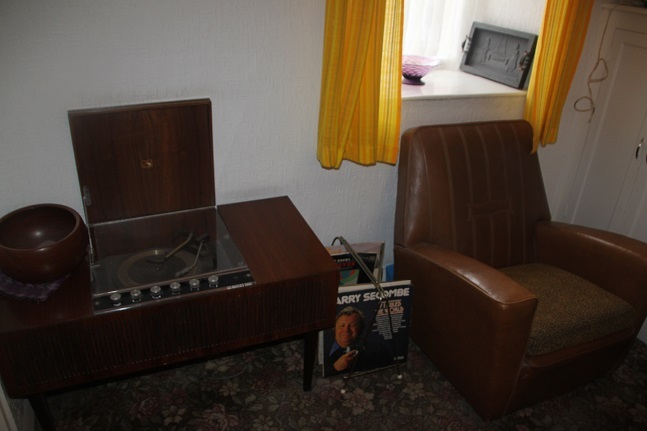 I especially like the Harry Secombe record! That looks like just the type of place I love visiting. I like my industrial history with a whole heap of social history to make it more accessible. Before moving to America, we lived near the slate islands off the west coast of Scotland. 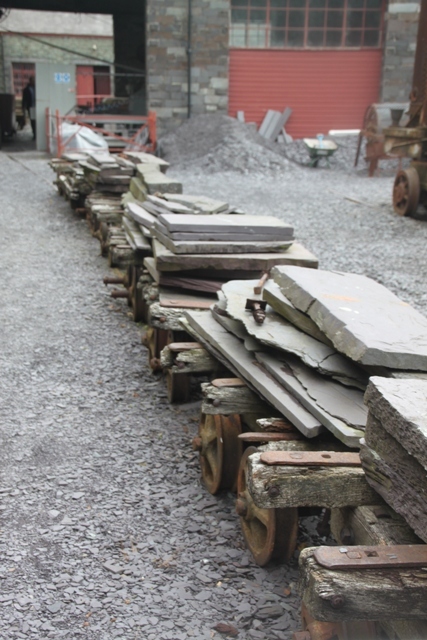 It was always fascinating seeing the slate quarries. There’s just something about slate that is so intriguing. 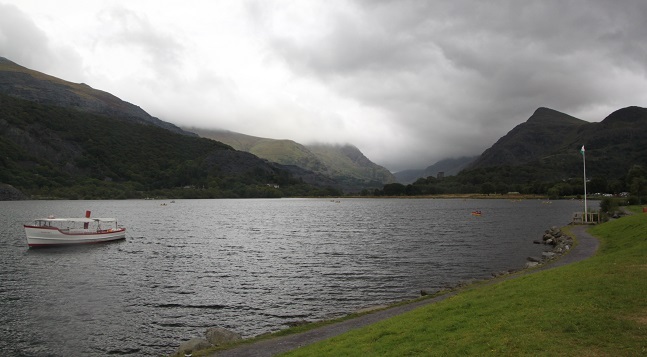 We spent a weekend after this by the coast but drove through Blaenau Ffestiniog where there is literally slate everywhere, mountains of the stuff around the town, I found that fascinating too. I agree with you about history, a good dollop of social history really brings something like this to life. How big were the families in those little cottages? I thought my house was small. For over 30 yrs our family of 4 lived in 1257sq ft. We’ve just finished adding on a bit so the house feels huge at 2042sq ft including the attached garage. 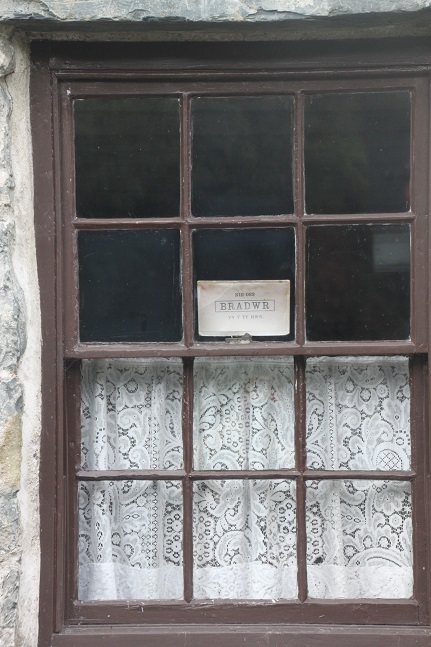 The cottages were about 600 square feet and typically 4 or 5 children plus parents lived there!! Imagine that – not much privacy there! Loving all these places you’re writing about that one might otherwise not know about! We didn’t know about this place before we went here either, but what proved to be a great place to shelter from the rain was also full of interesting history! Thanks Christianne – it’s great isn’t it!! Great photos Joy, to go with a very interesting post 🙂 I find the slates fascinating from a geological perspective. It’s interesting to see the workers’ cottages. They are of a very similar size and design to the terraced cottage I had in St Just (in Cornwall), which would have been built for the tin miners in the mid 1800s. 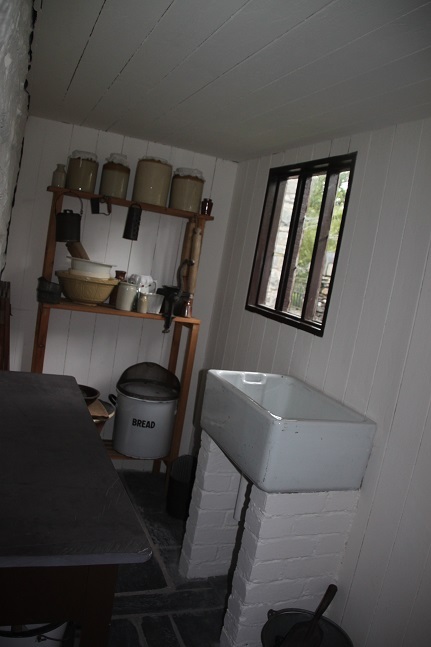 I loved peeking inside the little cottages, a fascinating insight through the years as to how they lived. 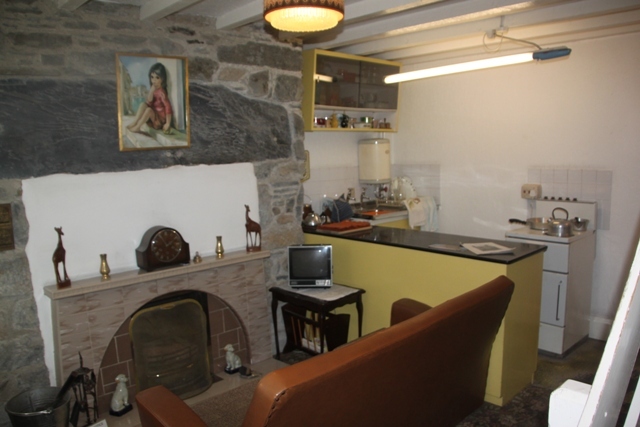 How fabulous that you lived in an old tin miners cottage in Cornwall too. The old buildings like that are amazing 🙂 I love the Victorian insides of houses (of real people), but more recent periods are interesting too. It’s amazing to think how much has changed, even since I was a kid in the late sixties and seventies. I loved the glimpses into the cottages, Joy! A great way to spend an afternoon! 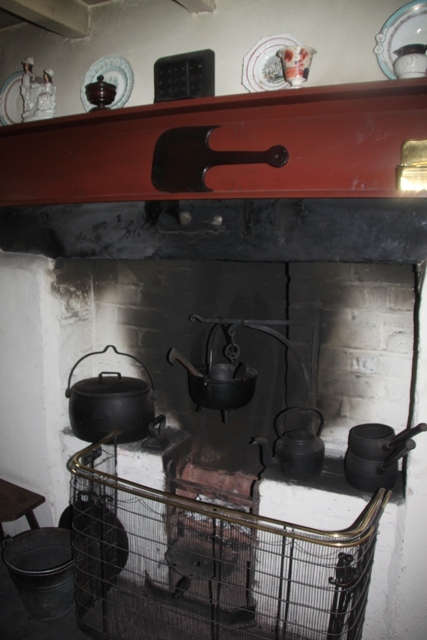 My favourite part Pam – those cottages – so intriguing so see how people once lived. It’s a great little museum, loads more to see in the area too – definitely worth a trip up north!! I love slate Rosemary, your floors sound wonderful, practical too I expect!! The little cottages were so interesting, like you say, unimaginable nowadays how whole families managed to fit in them, not a lot of privacy. 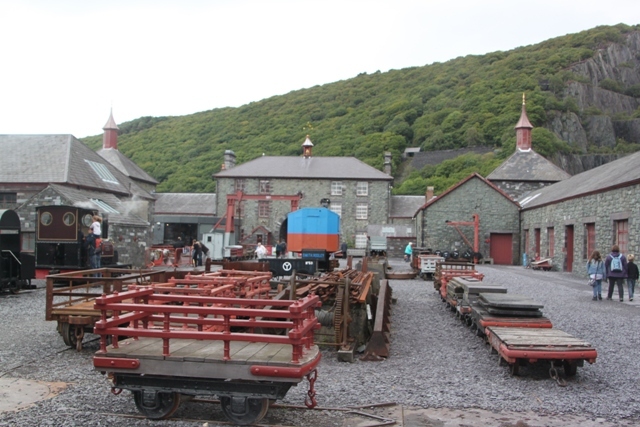 The museum is in a gorgeous part of Wales, if you do your tour you should definitely spend time here. Hope your week was good too and you have a fun filled weekend. Rain and more rain here…. 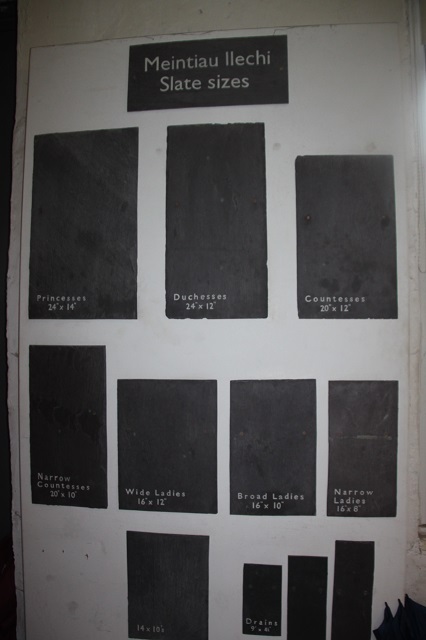 Yes slate floors are very practical – good with pets and small children! We could do with some of the rain – very hot here today and tomorrow not looking much better but then a cool change is on the cards 🙂 We have Prince Charles and Camilla in Perth at present (not that we are going to see them!). Hope things improve on the weather front…! I saw the royals on the news in Perth and was thinking about you… wondering if you might catch up with them!! There were some pictures of them today sunbathing by the pool in sweltering heat, fingers crossed it will cool down a bit for you.